The ESP Charitable Foundation is very excited to announce our 2016 Charity of the Year: HD Youth Center! We were joined by the Center's founder, Mr. Henry Davison, and other board members to introduce us to HDYC. The HD Youth Center was founded in 1997 by Mr. Henry Davison. He worked with parents in Cedar Rapids' core neighborhoods to develop a safe place for children to go after school. Even after the HDYC was destroyed in the flood of 2008, the Youth Center was rebuilt and continues to provide a safe, structured and supervised after-school and evening meal program for at-risk youth in Cedar Rapids. The Youth Center serves children ages 5-17 and is located at 1445 Mount Vernon Road SE. 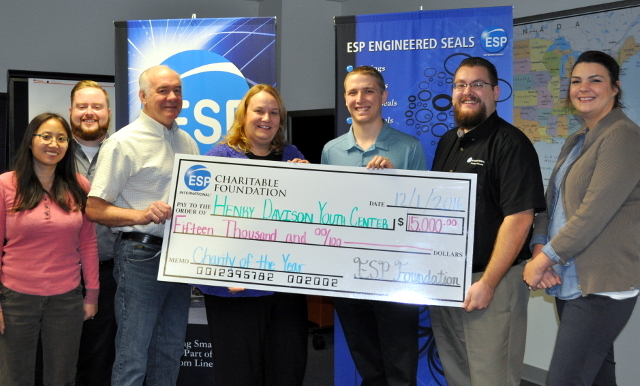 Thanks to the generosity of the associates at ESP, and with support from businesses and individuals in the Cedar Rapids area, the ESP International Charitable Foundation is pleased to donate $15,000 to our 2016 Charity of the Year - HD Youth Center, in Cedar Rapids. 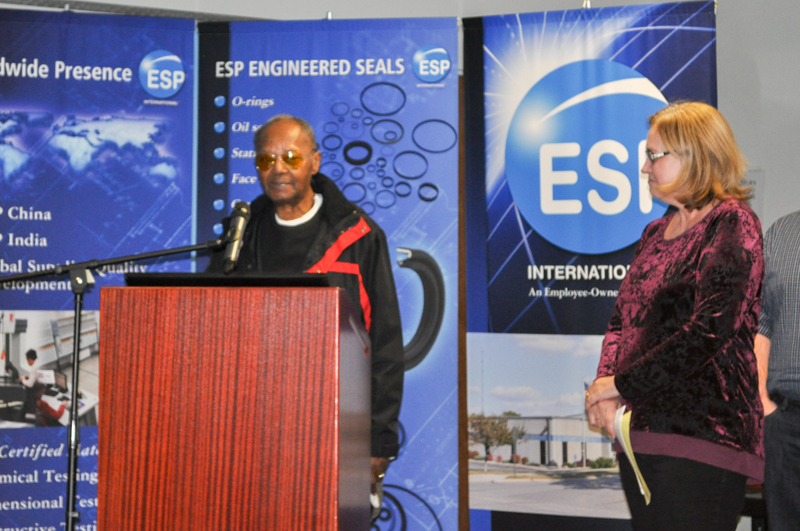 HDYC's Robyn Rieckhoff and Steve Springer were present to accept the donation during ESP’s monthly company meeting, Thursday December 3th 2016.